Critical factors to Cloud migration are – Performance, Security, Governance and Cost. To perform the Cloud migration of On-Premise Infrastructure, it is important to discover, analyse and plan the Cloud deployment. 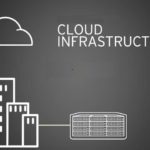 In this multi-part article, we will see what are the critical Infrastructure items that needs assessment, and what are the possible Cloud data center deployment plan.